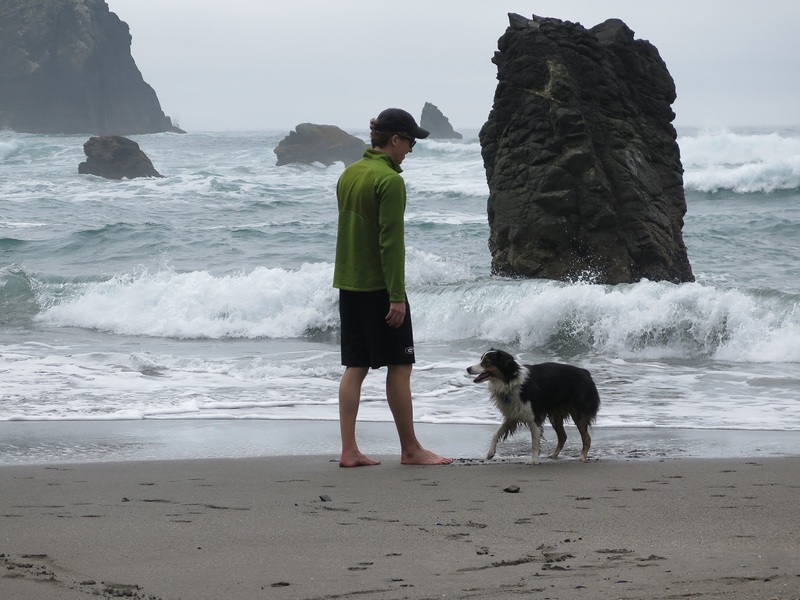 A couple of years ago I spent about six months living and working in the small coastal town of Brookings, Oregon. 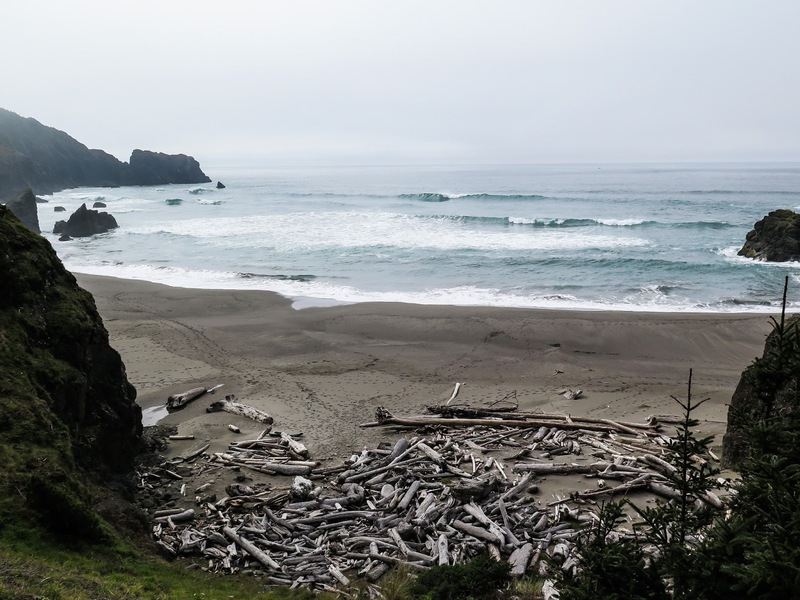 Located in the far southwest corner of the state, Brookings is so remote that coming from the west side valleys of southern Oregon you have to drive through a small corner of northern California to get there. 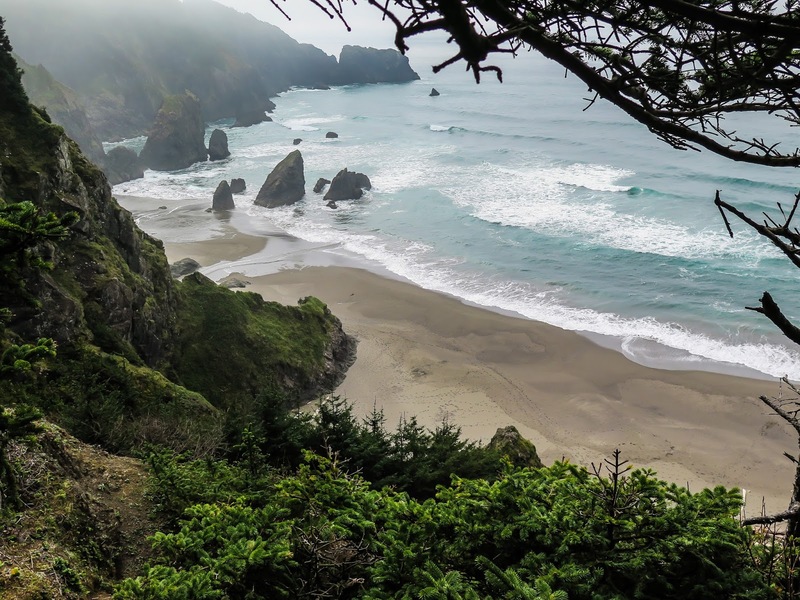 Although it's well off the beaten path, it is also one of the most beautiful coastlines anywhere, featuring temperate rain forest, waterfalls, sea stacks, arches, rocky cliffs, and secluded beaches. 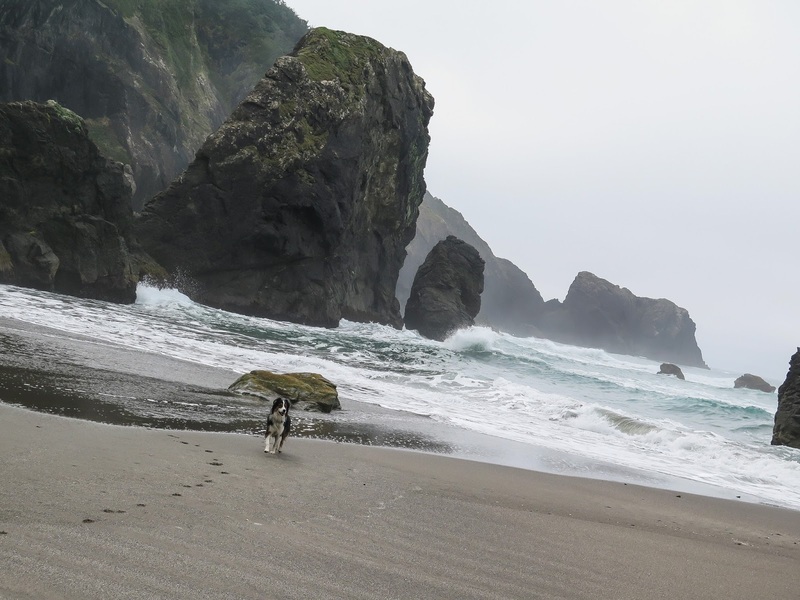 One of my favorite discoveries was a small, unnamed beach that can only be accessed by a very steep trail just south of the Thomas Creek Bridge, less than 10 miles north of Brookings. 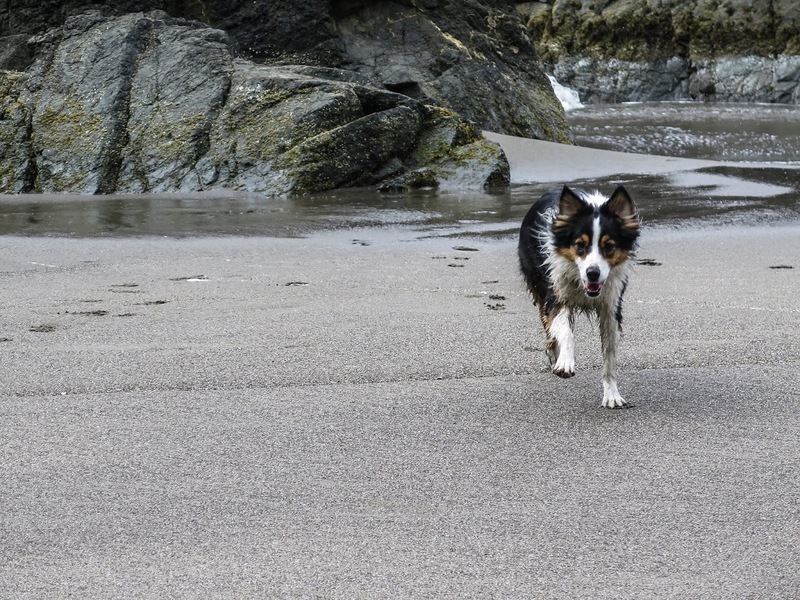 I call it "Secret Beach" because I never saw another person there. 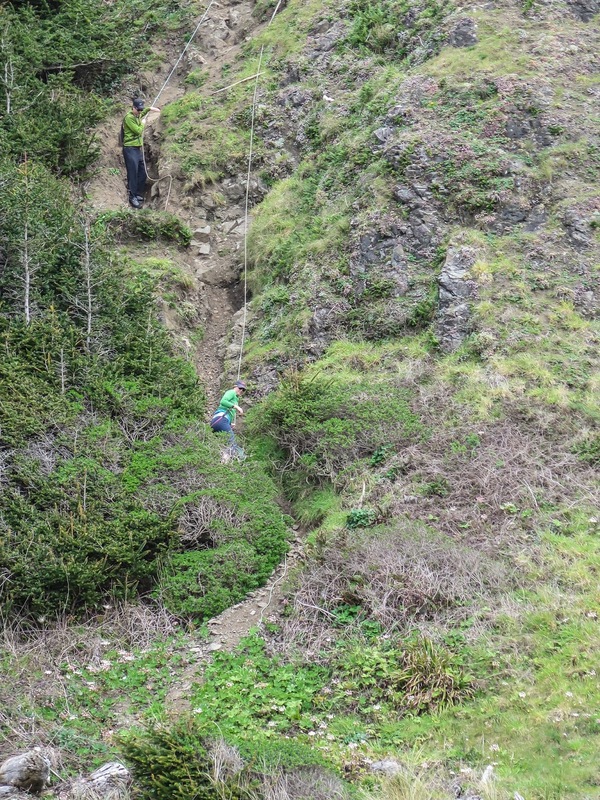 The approach falls into the "interesting" category - very steep! 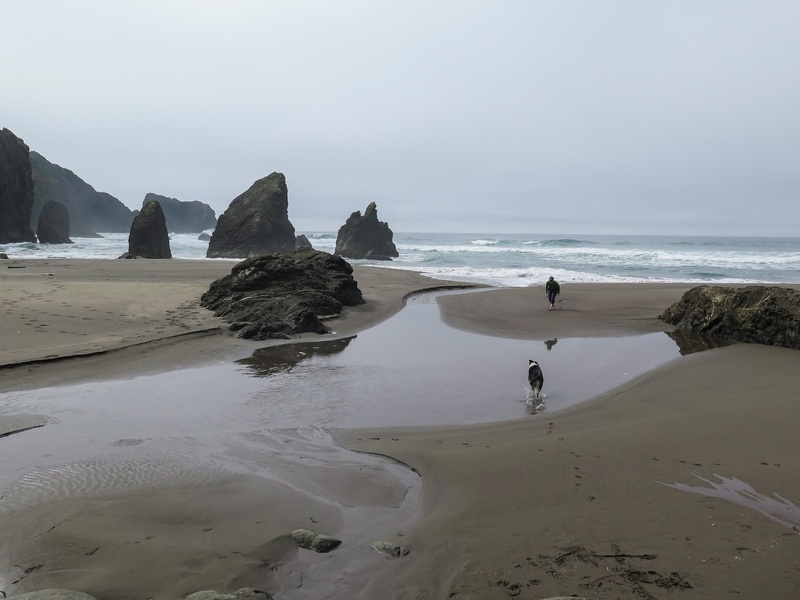 Directions: To find Secret Beach, take US 101 9.3 miles north of Brookings and park in the parking lot on the west side of the highway just south of the Thomas Creek Bridge. 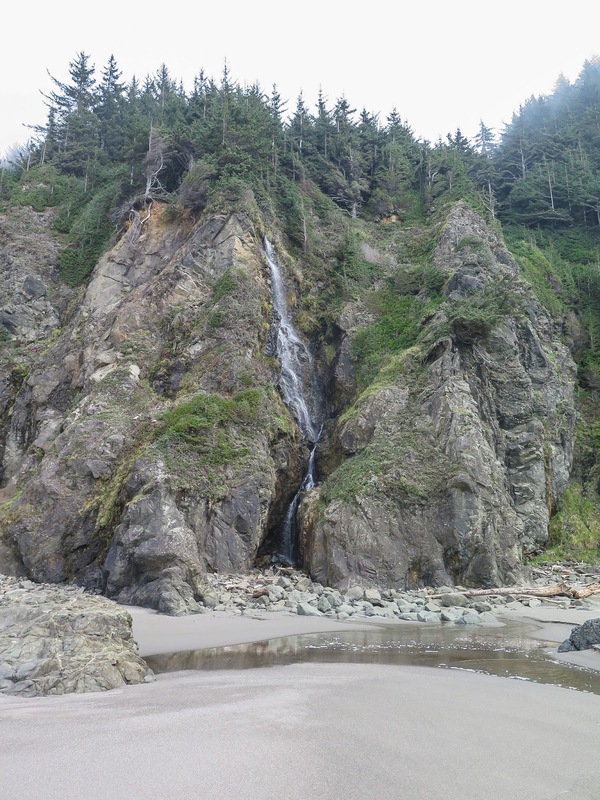 From the trailhead, head north on the Coast Trail. 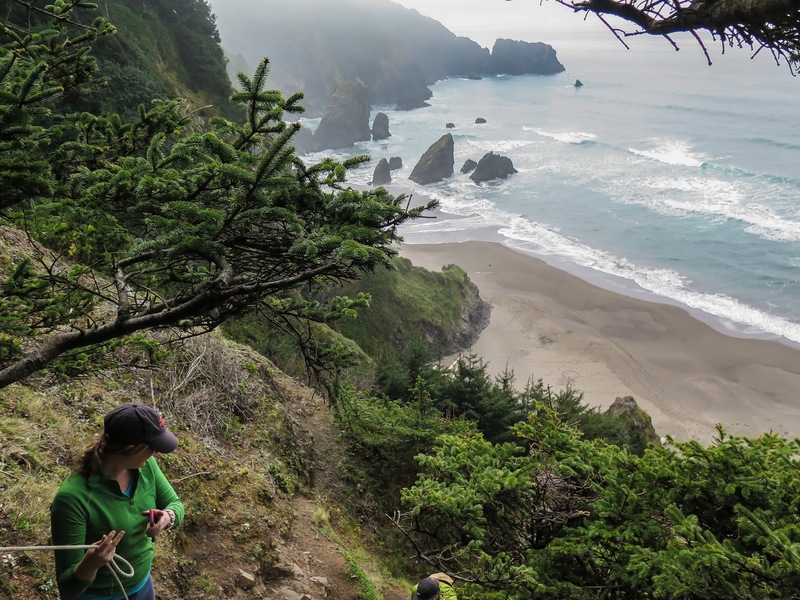 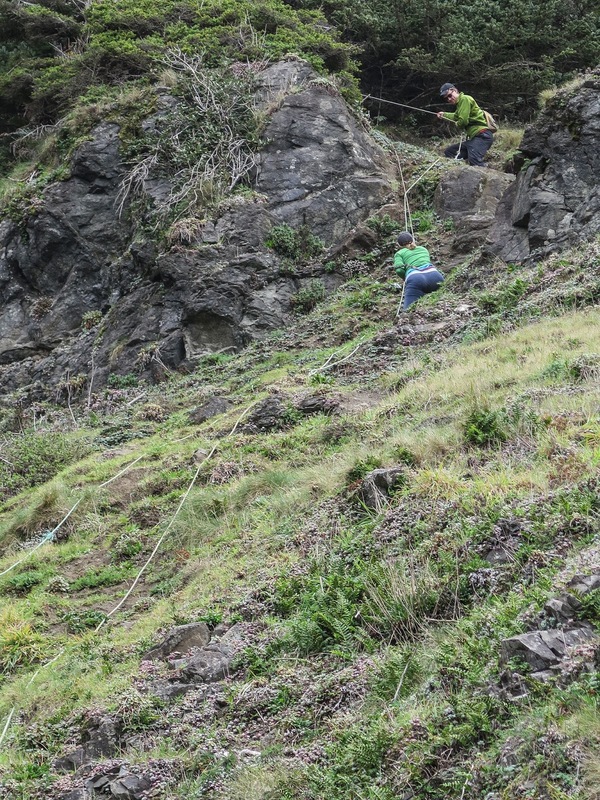 After a minute or two on the Coast Trail, take the unmarked trail to the left, which drops precipitously to the beach below.